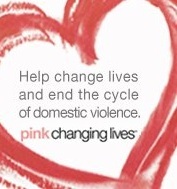 Do you know anyone who has been affected by domestic violence? I do...although the case I know of is emotional/mental abuse. To me, there is no difference. Emotional, physical, mental, etc. It is always abuse and in a perfect world, it would not exist. I am thrilled today to let you all in on a wonderful cause that Mary Kay has begun...it is call Give Joy, Give Dreams and Give Hope. According to statistics, one in four women will experience domestic abuse and Mary Kay has decided to try and change that...using lipstick! Mary Kay has designed three new Creme Lipsticks that are Limited Edition and are gorgeous! This will be Mary Kay's fourth-annual corporate social responsibility endeavor and they are truly reaching out with a passion to those who are affected by domestic violence. From September 16th until December 15th, Mary Kay will donate $1 from each Limited Edition Beauty That Counts Mary Kay Creme Lipstick in their effort to end domestic violence. Just think of the change that will be made. $1 may not seem like much, but if everyone does this the funds will add up tremendously!!! I was sent all three of these lipsticks and the colors are definitely beautiful! Each tube of lipstick (and the outer packaging) features the words "Thank you" in 13 different languages...which makes for a pretty stunning presentation. These lipsticks from Mary Kay are enriched with emollients and moisturizers that provide protection against moisture loss...all while providing stunning color. I also love the lightweight feel of these as well...they are also flavored slightly with vanilla and that is a really pleasant "bonus" that I just love. They retail for $13 each. So, what can you do? You can contact a Mary Kay Independent Beauty Consultant and purchase one or all three of these lipsticks. Remember that when you do, you are contributing to the end of domestic violence and are making a difference in someone's life!! Disclaimer: I received no monetary compensation for this post. I did receive free Mary Kay product for review purposes. All quotes and stock photos are from the Mary Kay website and email. All thoughts and opinions are 100% mine. I love your post. I am a consultant myself.Thought you may like to know that my unit is expanding this brilliant idea. we are running specials on this product and donating 250 lipsticks to local shelters for the holidays!